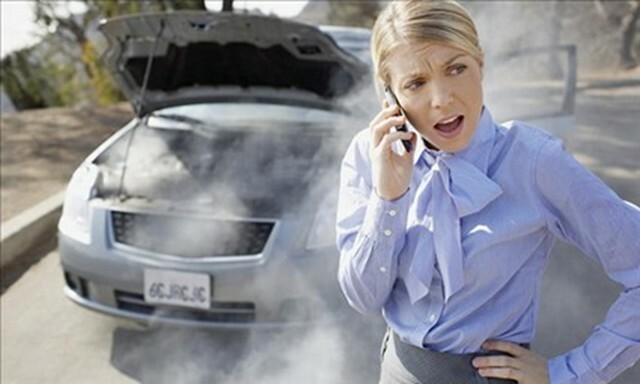 Hot summer is around the corner, we find the heat unbearable, so does your vehicle’s engine. 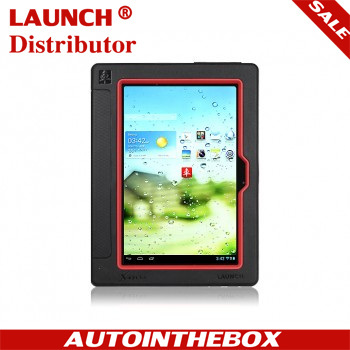 The high temperature put a lot of stress on your hard-working engine’s cooling system. Sometimes, if something goes wrong, we find ourselves stranded midway on the boiling highway while exposing directly to the dazzling sunlight. You are sweating. This is one of the situations that every driver wouldn’t want to encounter. The cooling system in your truck is your engine’s front line of defense when it comes to the ongoing battle against heat. If you properly maintain your truck’s cooling system and take a few other preventative measures, you’re ensuring that your engine won’t experience the added stress of operating under extreme high temperatures. But how do you keep your truck’s engine running cool under most normal driving conditions? Is there anything that you can do to prevent your truck from overheating? As it turns out, there’s actually quite a bit that you can do. 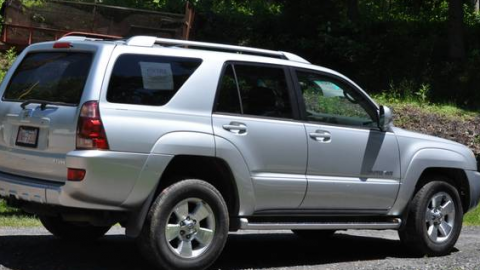 Some cars just overheat more than others, and many trucks are known to suffer the same fate. Because, basically, your truck isn’t fundamentally, mechanically different than most cars. It’s just bigger. And if it’s abused and neglected, the same things can happen. Just on a larger scale. 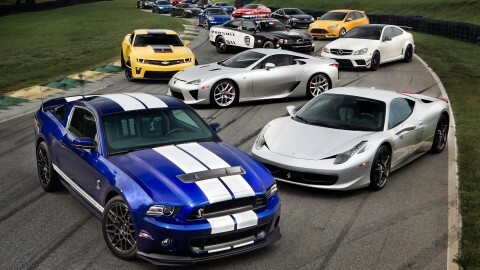 So don’t yield to the idea that a bigger engine is necessarily more robust. If you already happen to own a truck that’s notorious for overheating, and you aren’t in the market to dump it or trade it in, there might not be much you can do. But this tip makes our list because it’s important to be extra-vigilant. You can check for outstanding recalls on your model — sometimes there’s a known flaw, like a poorly designed head gasket, that causes the problem. That said, not all overheating engines are fatally flawed in design — some are just engineered with other priorities, that results in a lower tolerance for excessive heat. If you suspect your model of truck is prone to overheating (or if a friend told you, “Dude, everyone knows that,” or if you read it on a forum online somewhere) the first thing you should do is call your dealership to see if there are any outstanding warranties or service bulletins on your vehicle. If there are, take it in for the repair. Maybe the fix will help. If not, pay attention to the rest of our list, because you’ve probably already realized you and your truck are in for a long and hot ride. The following tips might be able to help you alleviate the common causes of an overheating truck engine, and minimize its symptoms. This may seem like rather elementary advice, but it does warrant a mention because so few drivers actually make a habit of monitoring their truck’s engine temperature gauge. 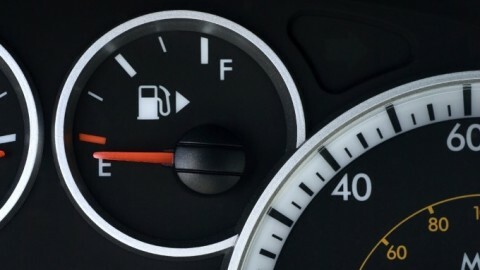 Understandably, the fuel gauge is critical for most drivers on a daily basis, as is the speedometer and possibly even the tachometer. 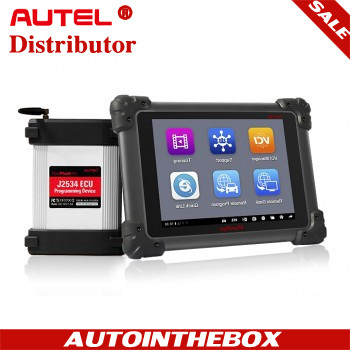 But the instrument cluster of your truck can tell you so much more; you simply need to know where to look. Alongside the temperature gauge, you may be able to find an engine oil pressure reading, a battery charge indicator and maybe even a boost and vacuum gauge (if your truck has a turbocharged engine). Once you’ve located your truck’s temperature gauge, pay attention to what the gauge displays as a normal operating temperature for your engine. 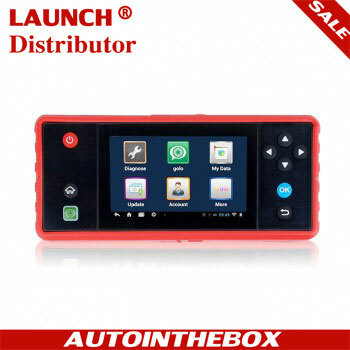 The easiest way to do this is to simply take a mental note of the reading on several different occasions after the truck’s engine has had a chance to run for a while. If your engine’s cooling system is operating properly, you’ll find that the temperature should remain fairly stable or at least consistently fall within a certain range. If you see the temperature reading begin to increase rapidly, you may have a problem. Ignoring it won’t make it go away, either. 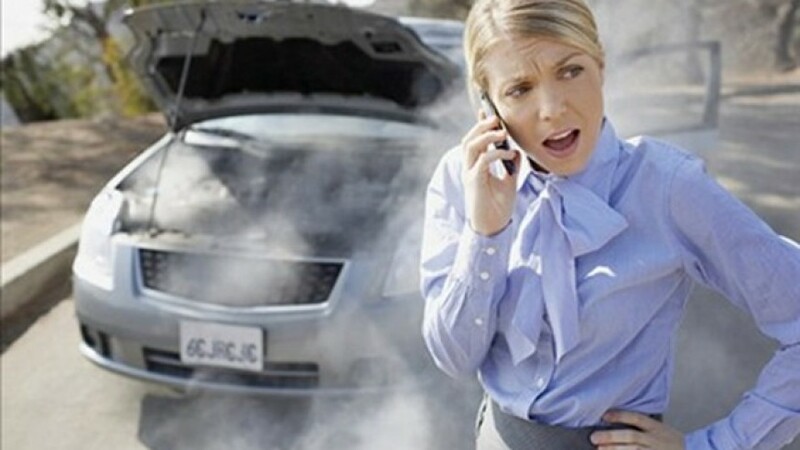 It’s wise to diagnose and repair an engine cooling issue as soon as possible. If the worst case scenario plays out, you just may be able to avoid a potentially catastrophic engine failure. As you could probably guess, major engine repair or even replacement isn’t cheap. So there you have it: Something as simple as glancing at your temperature gauge could end up saving you a significant amount of money in the long run. Up next, we have another bit of straightforward advice — nevertheless, it’s equally important. One clear indicator of a problem under the hood (or really anywhere on your vehicle) is the presence of fluid beneath your parked truck. But how do you determine if you’re seeing coolant and not some other type of fluid? Typically, it’s fairly easy to determine the specific type of fluid your truck is losing based on the fluid color and location of the puddle. 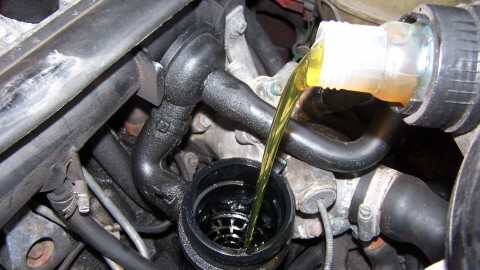 In years past, all vehicles used engine coolant that was the same bright green color, and it had a very sticky-sweet smell. Now, coolant comes in a variety of colors ranging from the familiar bright green to red, orange and even pink. Different manufacturers have different standards when it comes to the fluids they fill their vehicles with. At this point, the color of your truck’s coolant doesn’t matter quite as much as the fact that you’ve got a leak somewhere in your cooling system. The various fluids that circulate throughout your vehicle’s many different sealed systems — such as your cooling system, engine, transmission, brake system, transfer case and so on — are meant to stay trapped inside until they’re intentionally drained and replaced. 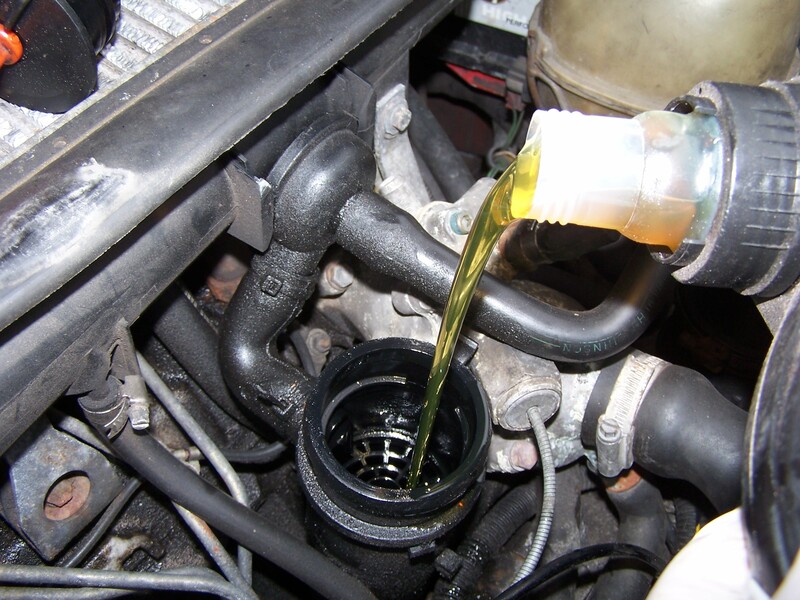 Fluids lubricate and cool moving parts within your vehicle, and your truck’s cooling system is no exception. To put it in the simplest terms: If you see a puddle of coolant beneath your truck, you have a leak. 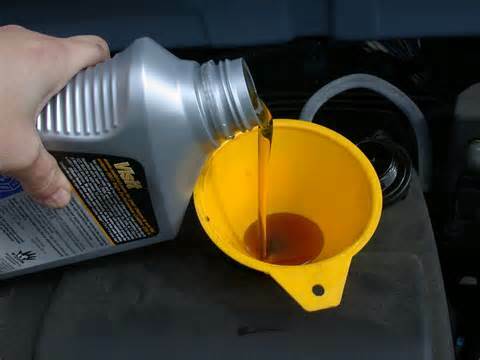 And if you have a leak, that means you’re in danger of running low on (or running out of) engine coolant, which would definitely cause your engine to run hot or even overheat. So, don’t delay in getting that leak repaired, or you could end up with a hefty repair bill. Or, in other words, give your cooling system a little extra loving. Let’s face it, if there’s a puddle on the ground under your truck and you take a couple extra minutes to kneel on the ground, identify the color, and perhaps give it a sniff…you’re really just doing the bare minimum. Not every leak is going to make itself known. If you pop the hood to give a friend a jump start or swap a burned-out headlight bulb, and notice the coolant tank level’s chillin’ below the MIN line, don’t ignore it just because there wasn’t a pool of fluid on the ground. Something’s wrong. Yeah, it’s normal for a little bit of fluid to boil away or evaporate — but just a little. (And it’s tricky, too, because it means a really small leak might not leave telltale stains, drips or wet spots.) Whenever you’re under the hood, admiring that huge engine, take a moment to check the hoses and lines for wear or abrasion. Make sure all the clamps are holding snug. Replace anything that’s worn out (which falls under “routine maintenance,” which we’ll discuss later). 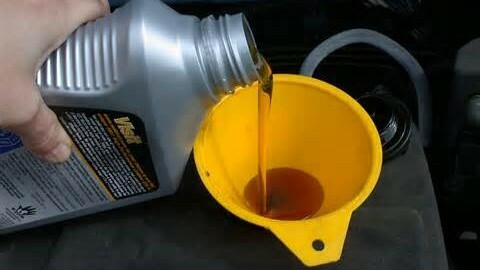 Refill the coolant to the proper level and check back frequently to ensure the level is staying consistent. Maintaining the entire cooling system is crucial to keeping the engine at effective and safe running temperatures, and, sorry, but glancing on the ground for fluorescent puddles is really only a preliminary step that indicates, congratulations, you can identify a puddle. It’s certainly good, but it’s not quite enough. Truck owners should really make it a habit to poke around the engine bay every now and then. A leak too small to create a puddle can still cause massive engine damage if it’s caught too late. 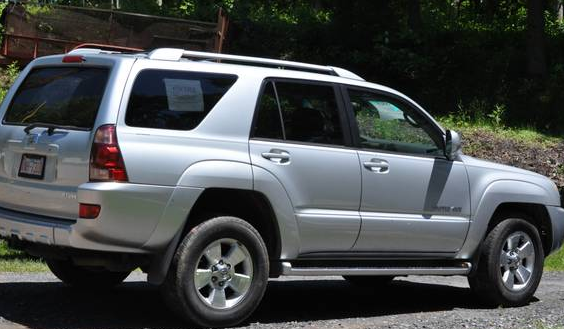 Anything that allows the engine’s operating temps to rise and stay above normal can cause damage…even a relatively minor breach in the cooling system. Again, this falls under the category of “routine maintenance” but it certainly is deserving of additional recognition. Checking hoses and belts is a step that’s frequently overlooked or forgotten, despite its simplicity. And this is yet another engine overheating cause that doesn’t differ all that much from the way it would be handled in a car. Just because a truck is bigger, stronger, manlier or “heavy-duty,” it doesn’t mean its parts can’t break or wear out. The belts and hoses are still made of rubber, which can crack, fray, leak or rot. A truck’s rubber parts might be bigger than the corresponding components in a car, scaled to suit a larger engine, but they’re essentially the same. If your engine temperature gauge is rising rapidly but there are no obvious causes (or it’s maybe just that your air conditioner is somewhat less crisp than usual), you might want to give the entire bay a thorough checkup. It should go without saying that you need to let your truck cool down thoroughly before digging your hands in there, but if you’re hauling all your worldly possessions in an overheating truck that’s in desperate need of a new $25 rubber belt, we’d rather be safe than silly. Your truck’s cooling system doesn’t operate on coolant alone, and it can’t operate on just water, either. In fact, your truck’s cooling system actually requires a mixture of coolant and water to provide just the right level of protection for your engine. If you skew the manufacturer’s suggested coolant-to-water mixture by adding only water or adding only coolant, you could risk damage to your truck’s engine. The balance between coolant boil-over temperature and freeze-up temperature actually hinges on the proper mixture of coolant and water. For instance, a mixture that consists of 60 percent water and 40 percent coolant can provide boil-over protection all the way up to 259 degrees Fahrenheit (126 degrees Celsius) and freeze-up protection all the way down to minus 10 degrees Fahrenheit (minus 23 degrees Celsius). If you were to change that mixture to 30 percent water and 70 percent coolant, you would have boil-over protection up to 270 degrees Fahrenheit (132 degrees Celsius) and freeze-up protection down to minus 62 degrees Fahrenheit (minus 52 degrees Celsius) [source: PEAK Performance Products]. As a general rule, you’ll find that a 50/50 mixture of coolant and water is sufficient for most driving conditions. However, to ensure that you’re using the proper mixture, it’s a good idea to take a look at your owner’s manual. Next PostOEM vs. aftermarket parts, which one should I go for? 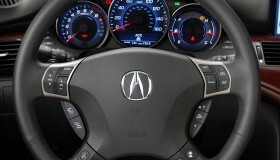 What does the dashboard display inform you? 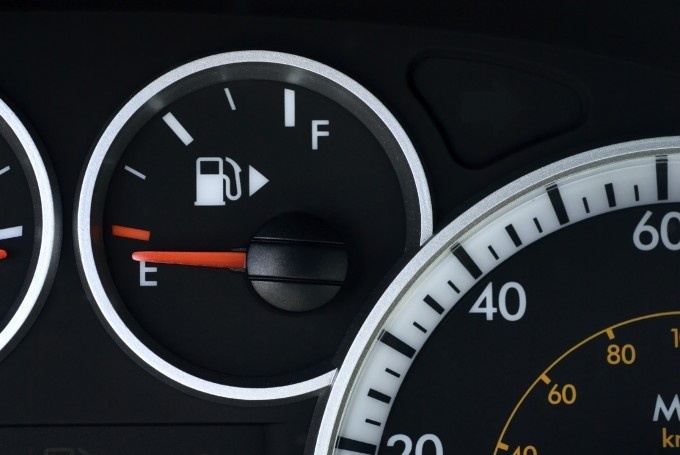 Is the fuel gauge accurate?